semimart.net is your trustworthy webshop for high power rectifier and rectifier bridge module, thyristor and diode modules. 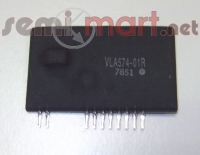 Buy online your bridge rectifier (20 Ampere to 320 Amps) in 800, 1200V or 1600 Volts. 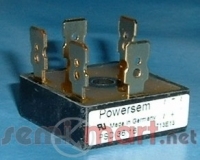 semimart is authorized and supported by POWERSEM for worldwide spare part and sample distribution. We offer a big scaled stock, cheap prices, and a fast order processing. For high power applications we deliver stud and disc type diodes/thyristors and powerful SCR/diode modules of POWEREX, USA. Biggest stock in Europe we maintain for ISAHAYA Electronic parts, japanese IGBT driver and DC-DC converter expert for single and three phase applications.